Facebook announced the official launch of Timeline for Pages at the first fMC Facebook marketing conference in New York on February 29. One of the biggest changes is that custom tabs, now referred to as apps, will go from 520 pixels wide to 810 pixels wide. ShortStack’s platform already supports this change and is prepared for users to make the switch. ShortStack, a social media platform used to create custom Facebook apps, says the announcement of wider apps is exciting and has been anticipated. Increasing the width makes apps closer to the size of a website and allows for more creativity and flexibility in the design process. Additional changes that can be seen on the Facebook timeline feature include the location of custom apps. They have been moved under the large header image, aligned to the right. Businesses can choose their top apps and highlight them on the cover as favorites. There is also a new “pinning” feature which allows business to highlight their top posts or promote custom apps for up to seven days. 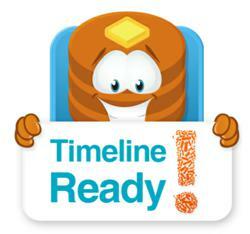 ShortStack is prepared to answer any questions about Timeline from existing and potential users regarding their Facebook pages. Questions can be submitted at https://shortstack.zendesk.com/home. Businesses looking to create a custom Facebook page will have an easy transition from the old layout to the new layout using ShortStack. ShortStack is a tool that allows individuals and businesses to create custom Facebook apps for their Facebook Pages. The dynamic platform contains more than 30 widgets and applications where users can integrate fan-gates, contests, sweepstakes, RSS feeds, Twitter, YouTube, MailChimp newsletter sign-ups and more without worrying about complex coding. To learn more about ShortStack visit http://www.shortstack.com.